178 pages | 11 B/W Illus. This book argues that China’s businesses, and hence China’s future economic development, face a huge crisis in that there is a considerable "leadership gap" in China, with a shortage of competent business leaders, at a time when new leadership skills are required urgently, as China’s businesses evolve rapidly and engage ever more with the global economy. Moreover, the book argues, training is an undervalued and often marginalised activity in Chinese companies. The book outlines the nature of this problem, and goes on to demonstrate that there is a new breed of manager emerging in China, aware of the need to upgrade management skills, moving away from skills appropriate in traditional industrial firms, and emphasising more flexibility, positive engagement with workers, and competence in the market economy. The book includes an evaluation of different management approaches in China, reports on extensive original research, including interviews with practising managers, and sets out how self-development in widespread, deep and important. 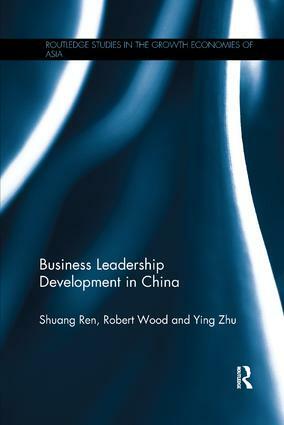 "This is a well-written monograph on the problems of business leadership in China and the so-called ‘leadership gap’, covering training and development, as well as self-development. It is clearly written and very much to the point."